The Forest Workforce Training Institute's Logging Equipment Operator Training School is a four-week program designed to equip students with little or no experience to become a logging equipment operator with all necessary safety certifications as well as Professional Logging Manager (PLM) status. This course will consist of classroom instruction in forestry concepts, logging safety, and basic business concepts specific to logging. Afternoon field sessions will reinforce classroom training and provide actual equipment operation at an active logging site. The class will operate Monday through Friday, 7:00 a.m. until 4:00 p.m. This program will be limited to 8 participants, so apply now before spaces fill up! Previous experience with equipment operation (farm tractors, dozers, etc.) is desirable but not required. Logging equipment operators operate heavy machines like skidders, feller-bunchers, loaders, dozers and graders. An operator must able to work in a fast-paced physically demanding job that requires attention to detail and good eye-hand coordination. 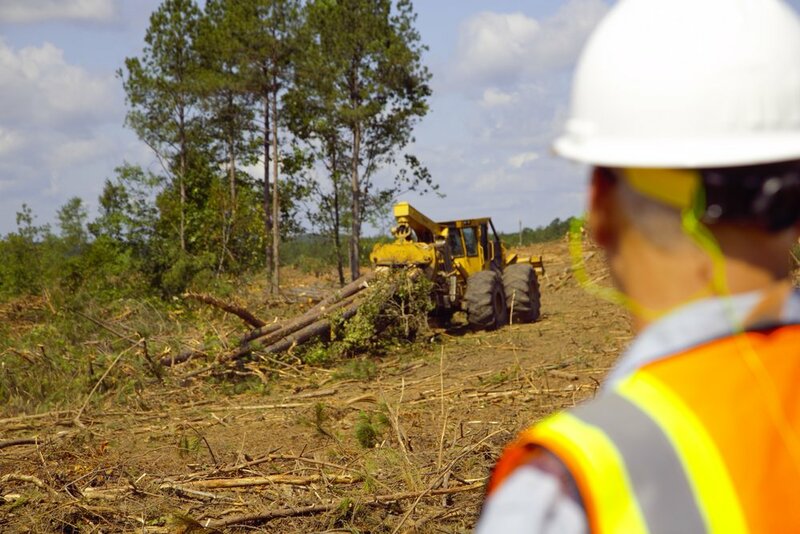 The average salary for logging equipment operators in Alabama is $23/hour. A starting salary may be less depending on the skills of the operator and the policies of the hiring company. Employment upon completion of this course is not guaranteed.